Portland is an explorer's paradise. With so much to see and do, you'll wonder why you had never done it before! Visitor Information is available from the Heights Hotel on the summit of the island. There is a dedicated visitor information centre open 7 days a week from 8am - 6pm, where you can discover all there is to see and do. Portland Castle - A fine coastal fortress built by Henry V111 overlooking Portland harbour with 500 years of history. One of English Heritages best preserved Tudor monuments. The castle has a diverse history beginning with its construction by Henry VIII to protect the anchorage from French and Spanish attack. It was involved in the English Civil War and later in the First and Second World Wars as a seaplane base and for the D-Day preparations respectively. Portland Castle experienced its only real action during the English Civil War EnmEknnpc1642-1649. Being an historic Royal Manor, Portland naturally supported King Charles and was a Royalist stronghold. It is now under the care of English Heritage, and is open to the public during the peak season, usually closing in November until April. Portland Museum - with gallery, fossil garden and artifacts ranging from ship wrecks, stone carvings to petrified cats and stone coffins! 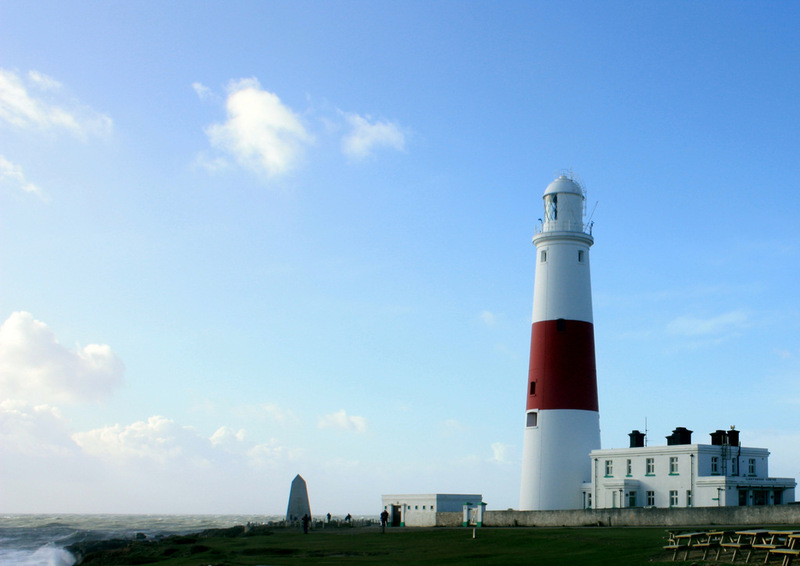 Portland Bill Lighthouse - in operation since 1906, The height of the tower is 41 metres, it has a range of 25 nautical miles. Open April - August, check website for details. This attraction re-opened in 2015 as a brand-new Visitor Centre, with displays of lighthouse operations that are definitely not to be missed. From the slipways and piers of Castletown, Portand the men, vehicles and equipment of the 5th US Corps & US Ist Infantry Division embarked onto the vast number ships and landing craft that would carry them from south coast of England to the invasion beaches of Normandy. ​ The Castletown D-Day Centre is an exciting new visitor attraction that will offer an immersive visitor experience that tells the story of embarkation from a busy wartime dockyard. Built over two levels the visitor will enter into a dockside seen where men and equipment are being loaded onto a landing ship that is moored alongside the dock. The centre also features WWII era military vehicles, a fullized replica Mk IX Spitfire and an original Sherman M4A4 tank. 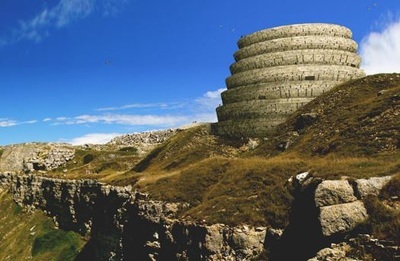 A new landmark arrival point to Tout Quarry Sculpture Park & Nature Reserve and the Wider Portland Quarries Nature Park; marks the entrance to a network of abandoned and disused quarries that are packed full of wildlife, heritage, and industrial archaeology. ‘Memory Stones’ is the concept and work of artist Hannah Sofaer, who has selected large stones from Portland Stone Firms Ltd and Albion Stone plc open cast quarries, to form an arc that connects to audio visual recordings that she has made of Portland’s Quarry environment, people and skills of working with stone; to form an additional layer of memory overlaid on the landscape and its geology. 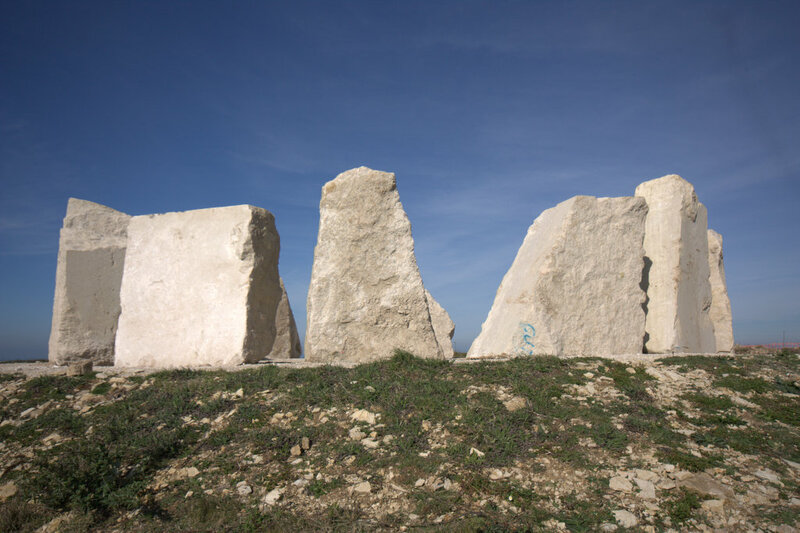 The stones frame views across Portland’s landscape and will be letter cut, referencing the islands ecology, geology, art, architecture, archeology and quarrying history. 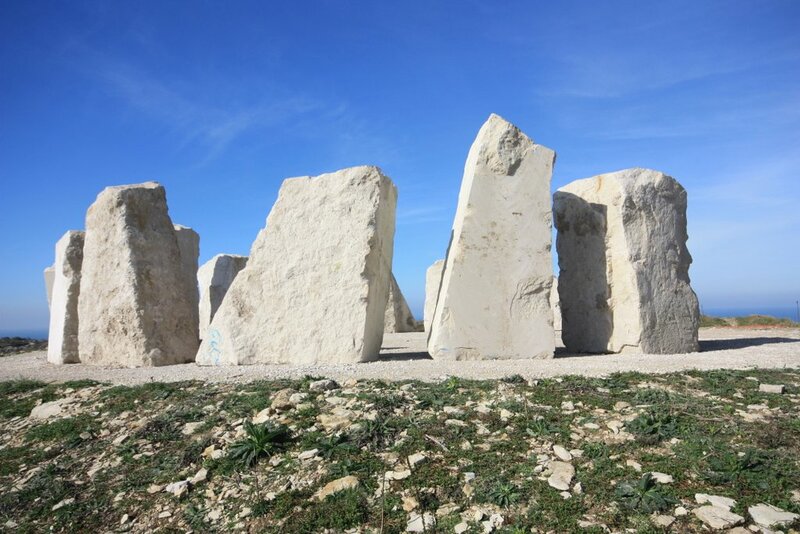 The stones are aligned to the passage of the sun, the summer and winter solstice, spring and autumn equinox, spring and autumn sunrises and sunsets - creating shadows up to 30 metres long in midwinter. Paisley Plant Hire Ltd carefully installed the stones to a ground plan with quarryman Ralph Stone, who has a lifetime of experience of skills handed down through generations from the time of Sir Christopher Wren. Tout Quarry Sculpture Park - a combination of heritage, biology, nature and sculpture protected by a site of special scientific interest. Over 50 examples of sculpture can be seen throughout the quarry, including works by Antony Gormley. 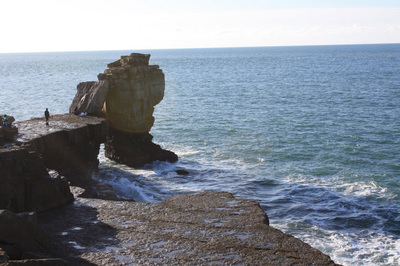 Check out the guide to Tout Quarry using the link below. Fancy's Farm﻿﻿ - home to the only flock of rare breed Portland sheep on Portland. They also have wallabies, chickens, ducks, pigs, goats, geese, donkeys, shire horse and 2 farm dogs. Open everyday between 10-6, bring the children to meet and learn about the animals. A definite must for younger children. Portland Bird Observatory - opened in 1961 as a bird observatory and field centre. Now an independent organisation and a UK registered charity. They cater not just for birders but for naturalists of all persuasions, and are specialists in all things wildlife. There is also an on-site book shop for those wishing to further their knowledge. Chiswell Earthworks - the walls create wave like patterns and support undulating platforms of earth suggesting the changing form of the beach as the sea breaks upon it as Chiswell. 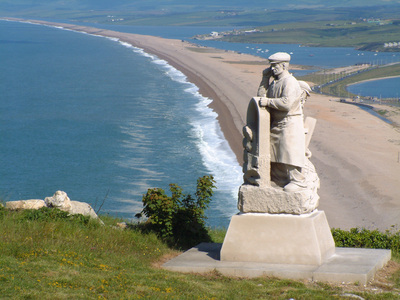 The Chiswell Earthworks is a land sculpture which celebrates the completion of the Chesil Sea Defences and heralds a renewed confidence and revitalisation of Chiswell. 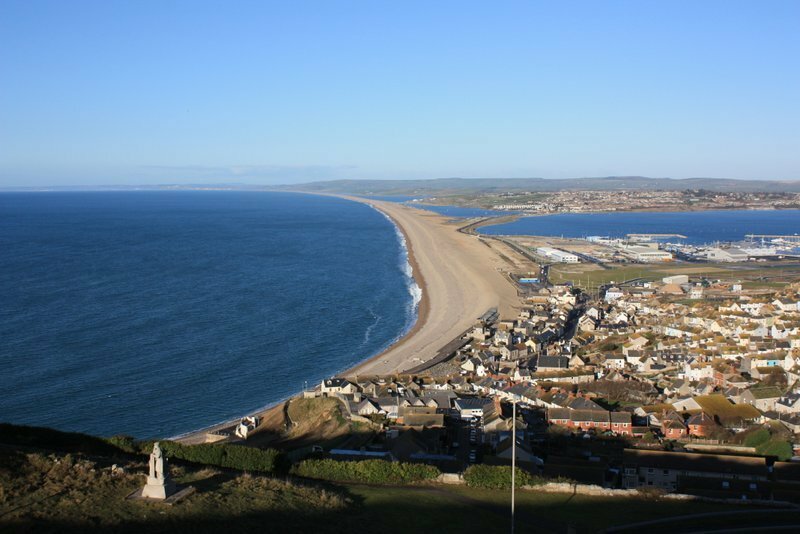 It is one of Common Ground’s New Milestones’ Projects and was commissioned in 1986 by the Chesil Gallery together with the Portland Town Council. 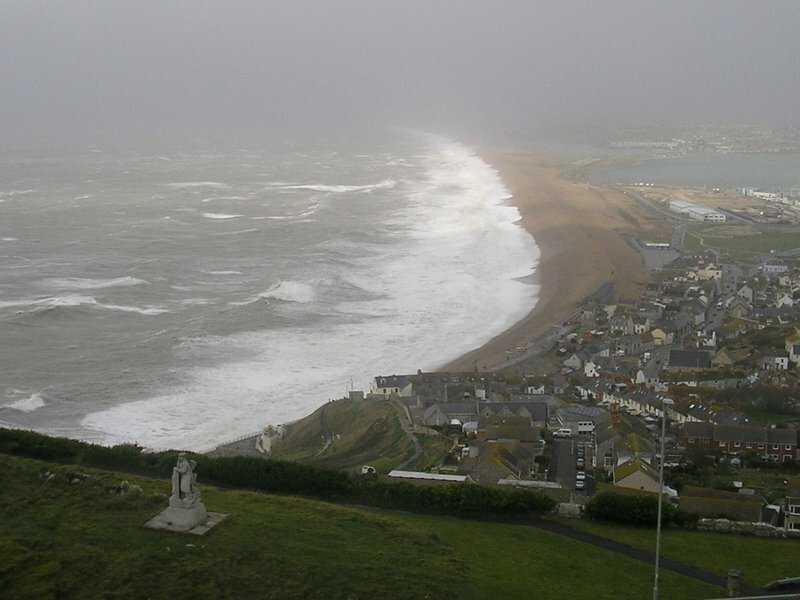 An exhibition, ‘Henry Moore and the Sea’ was held at the Chesil Gallery in 1993 to mark the completion of the sculpture during the summer of that year. 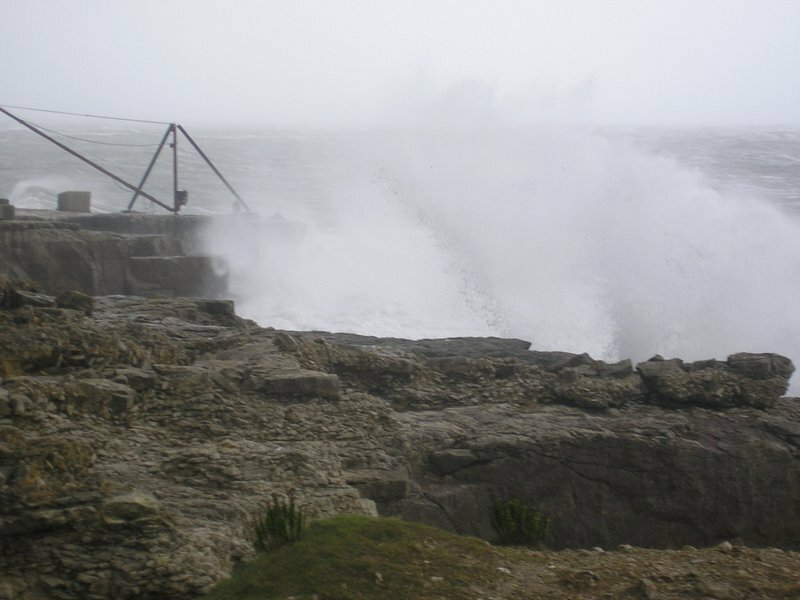 National Coastwatch - NCI Portland Bill is a recipient of the Queen's Award for Voluntary Service.NCI Portland Bill is situated at an elevation of 50 metres above sea level approximately 500 metres north of the Portland Bill Lighthouse. The Portland Bill team are proud of their Queen's Award for Voluntary Service (QAVS). Church Ope Cove - park your vehicle opposite Pennsylvania Castle, then you have a short walk followed by a number of steps down to the cove. A nice pebble beach, good for paddling and fishing. 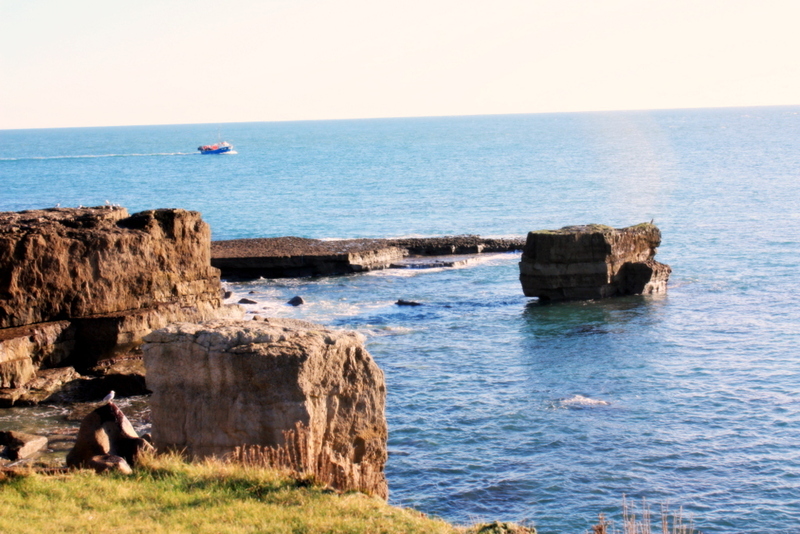 Rufus Castle (Bow & Arrow) - the remains of this cliff side fortress stand proudly above Church Ope cove. This ancient monument dates back to the 15th century. The Windmills - 2 surviving ruins first recorded around 1608 when Portland was primarily devoted to agriculture. The Portland Windmills are two historic, presumed medieval, stone towers which were once windmills. The disused windmills are located nearby south of Easton village and the east of Weston village. Both towers are found within close proximity to one another, (135 metres), within an area of rolling fields and old quarries. The northern mill is often called Angel Mill whilst the southern mill is named South Mill. Otherwise the windmills have, in the past, been known to be named after their area of land; Cottonfields Mill and Top Growlands Mill respectively. The Grove Prison Museum - An extensive collection of display items pictures and modelled uniforms the museum offers a factual history of prison life. The prison at the Grove Portland opened in 1848 and held convicts adults until 1921. Grove Prison Museum is a museum based on HM Prison Portland, situated within The Grove village. It is located within the former deputy governor's house, across from the original gatehouse of the prison. The entrance to the museum is located through the Governor's Community Garden. 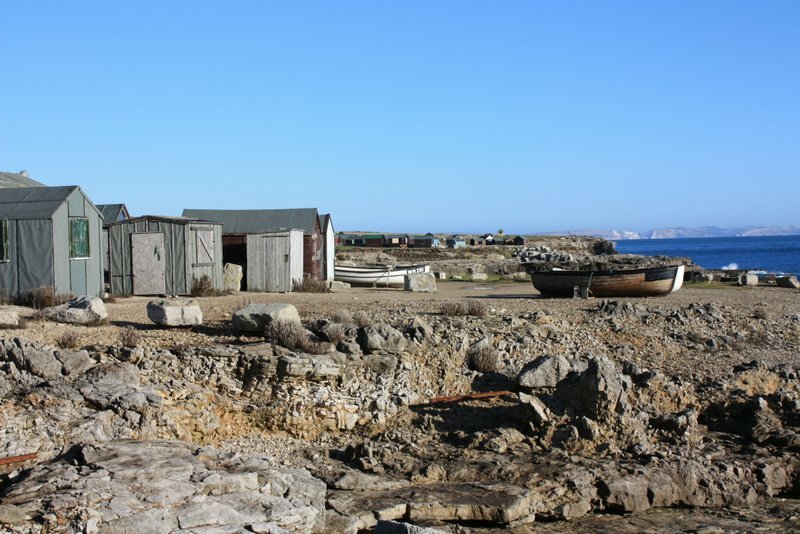 Mesolithic Site - The Culverwell Mesolithic site, near Portland Bill, is of worlwide importance as it is thought to be the oldest known site of permanent residence in Britain and also is the first use of Portland stone. 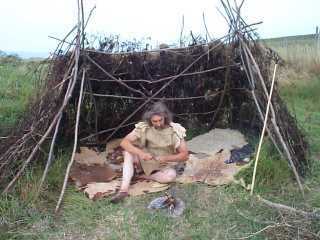 The site dates from around 8 to 8,500 years old, the middle stone age. 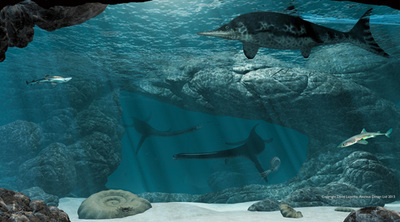 Although tribes at the time would have been nomadic in nature it is thought that Portlands geography allowed them to be able to settle in one place. They obviously had an eye for a view! 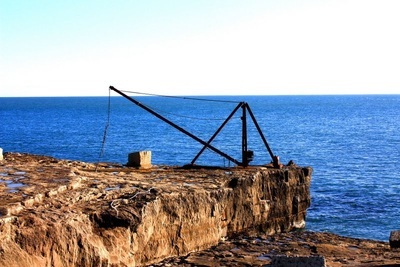 High Angle Battery - The High Angle Battery is a derelict fort built in 1892 as part of Britain's Coastal Defences and is located in a disused Portland Stone quarry at the northern end of the island. Being down in a quarry the guns were hidden from view of any passing enemy ships, the element of surprise would keep them moving on, minimising a possible threat. The "high angle" that the nine-inch rifle muzzle loaders fired at ensured shells dropped down onto the decks of any attacking vessel, the sides of whom were usually rather better armoured. The pace of maritime warfare increased with the use of smaller craft like torpedo boats, and the big guns would be far less likely to score a hit. As a result, they had been in use for just six years when they were taken out of service in 1898. The Portland installation is the best preserved Battery of its type in the United Kingdom and is a scheduled ancient monument. St George's Church - is a cruciform church built in 1754-66 to the design of Thomas Gilbert, a local mason, to replace the dilapidated St Andrew's Church near Rufus castle. Its grand conception, possibly based on St Paul’s Cathedral, may reflect Wren’s connections with Portland and its quarries. Although completed in 1766, by 1794 the roof timbers were so decayed that the roof had to be replaced. The church was uncomfortable and draughty but served the Island until a new church was consecrated in Easton in 1917. St George's fell into disuse despite the fact that the population of Portland had increased ten-fold between 1801 and 1901. Its poor state of repair and inconvenient location resulted in it becoming abandoned and bomb damage in 1940 helped its decline. 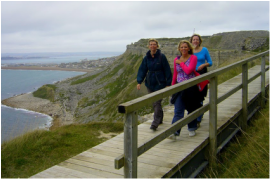 Legacy Trail - Weymouth and Portland's fantastic wild places offer everyone somewhere to explore and enjoy. 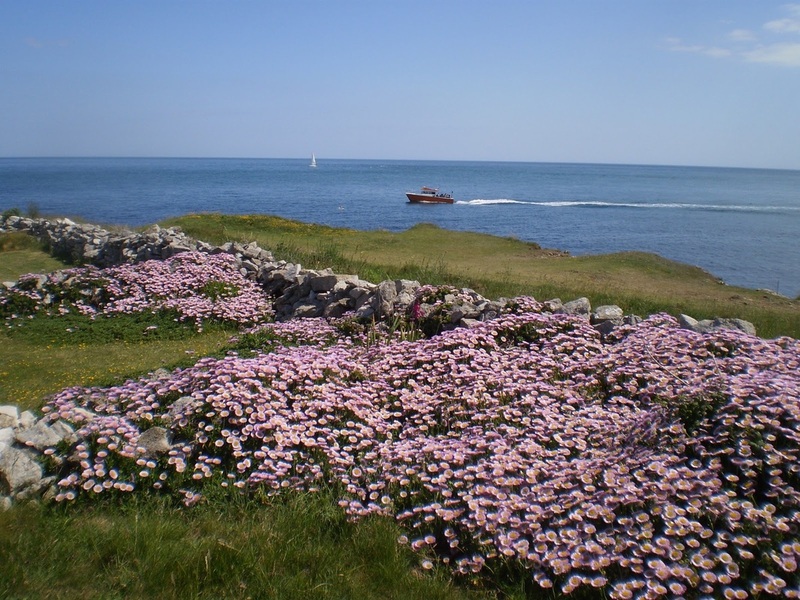 Discover flowery meadows, reed bed mazes, fabulous fossil-filled quarries and wild coastline, with an array of wildlife on land and in the sea. Pick up a legacy trail leaflet to discover more, or pop-in to Portland's Visitor Information Centre at the Heights Hotel for more details. 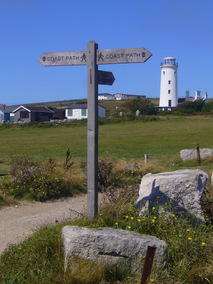 Portland Bill - A narrow point (or bill) at the southern end of the island, and the southernmost point of Dorset. One of Portland's most popular destinations, the popular attraction Portland Bill Lighthouse is found in the area. 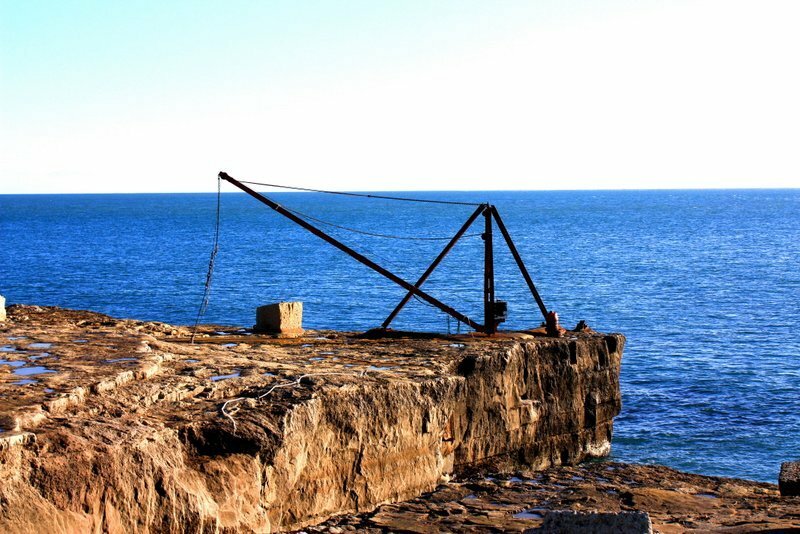 The surrounding coast of Portland, namely Portland Bill and Chesil Beach, have been notorious for the many vessels that became shipwrecked in the area over the centuries. 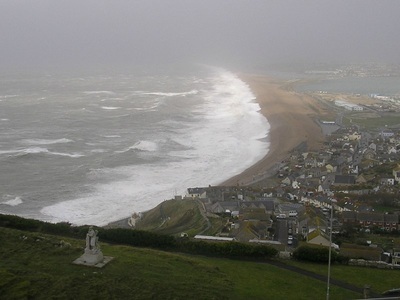 The dangerous coastline, which features shallow reefs and the Shambles sandbank, was proven more hazardous due to the strong tidal race known as the Portland Race. 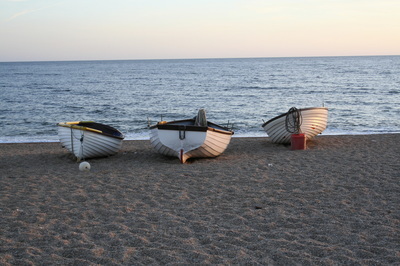 The race is caused by tides clashing between the Bill and the Shambles sandbank. Below are just some of the great views from Portland Bill. Chesil Beach & The Fleet - Chesil Beach is 18 miles in length, roughly 160 metres wide and rises to 12 metres in height. 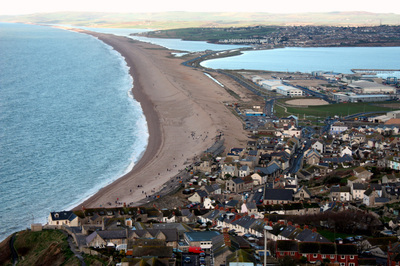 On a clear day the complete length of Chesil Beach can be seen from the Heights Hotel's coffee shop. It is a pebble and shingle tombolo, to give it its technical name, which means a deposition landform such as a spit or bar which is attached to the mainland by a narrow piece of land. Chesil beach connects Portland to Abbotsbury and then continues north-westwards to West Bay. 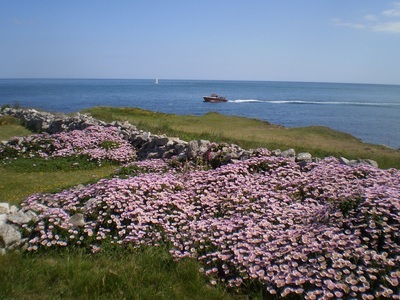 It is the largest tombolo in the UK and without it Portland really would be an island! Check out the amazing images below which reveal the different moods of the beach. JURASSICA & MEMO (now combined and soon to be re-named 'The Journey')! There's never been a better time to visit Portland. Explore the wonders of this beautiful island, to discover what keeps people coming back year after year.